played there. His are not the only eye-witness notes we have of the period, but they are revealing. Simond was amused to notice that, firstly, no one "stirred" earlier than 10am. 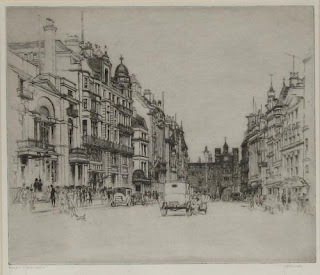 At that time, shops came sleepily awake, and the Horse Guards were on the move in a noisy parade, their daily march from the barracks to Hyde Park. But what of the ton, the inner circle of fashionable society? These lofty souls did not appear until nigh three or four o'clock, when, in a great racket, they would begin making their "morning" calls, or go shopping or promenading, or grace an assembly room with their presence. Why was the beginning of their day so late in the afternoon? Because it went on until early next morning, or even 'til dawn. 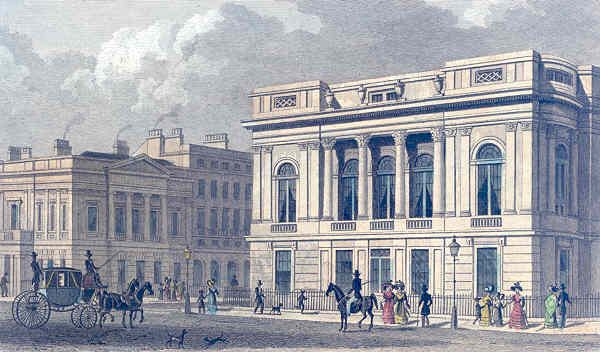 There was a lull of activity around this time, and then, from six o'clock to about eight, after people had dressed for dinner and evening entertainments, the racket and street traffic started up again. Another lull would follow, and then near ten o'clock the crush of carriages was back with all its ensuing noises: The thunderous hoof-beats, whinnying, whips cracking, people laughing, wheels turning, churning, and lumbering along the cobbled roads. It was an awful din that rarely subsided before midnight. 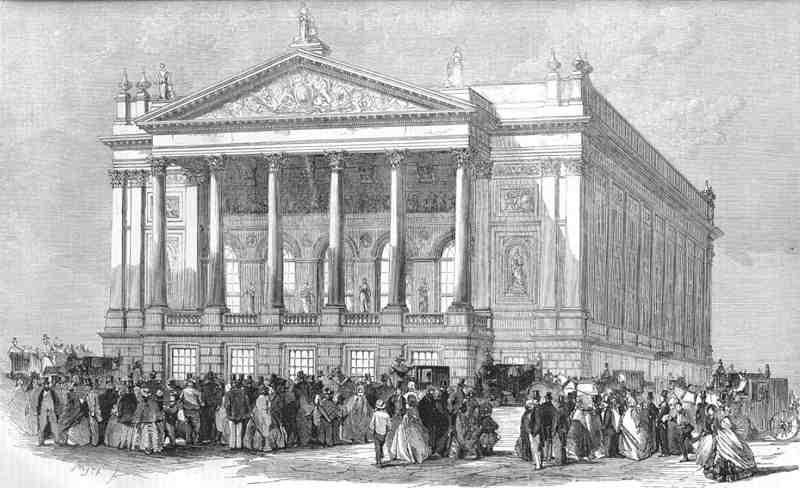 Covent Garden Theater, London, 1858. 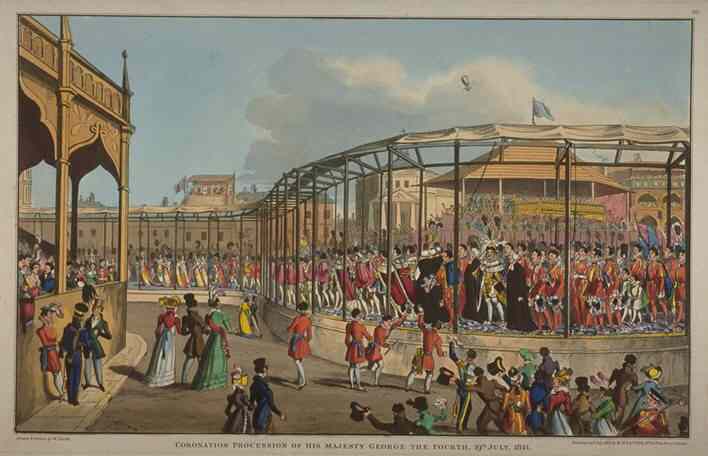 This is well after the regency, but gives a good idea of the crowds that would have been there then just as here. The next day, it would start all over again, and the endless whirl of activity called the "season" would continue. Simond also detailed what it was like attending a party (or, "rout") of the fashionable. 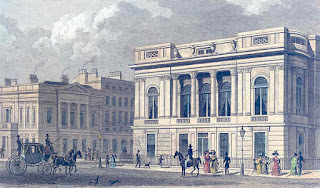 After waiting in long carriage lines along the street to gain entrance, one would greet the host or hostess, and then stand (never sit) in rooms crowded with elegant people, jostling and moving about to find one's friends, with no entertainments offered and apparently no refreshments. He mentions the lack of cards, music, and even conversation. 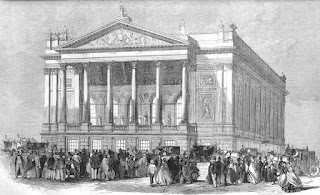 Supposedly, the aim was to get there, be seen, and to see whomever else had been invited and braved the crowded streets to attend. When ready to leave (after fifteen minutes to half an hour), waiting for one's carriage was the next trial, after which it was on to another "at home" (what we would call an "open house" today). One can imagine the sheer exhaustion of attending just one or two of these in a week! And yet they were constantly being hosted, and the greater your popularity and consequence, the more invitations you would receive for them. 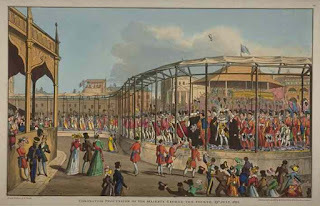 street and their accompanying flambeaux gave away the location of these affairs, they were virtually public knowledge--and therefore heavily attended. So much for the painstaking work of ordering and sending little gilded invitations to an elite list of recipients, weeks in advance. As Mrs. Bentley notes (in Before the Season Ends,) "a hostess always prefers a crush to its opposite. But important members of the ton must not be made to suffer!" 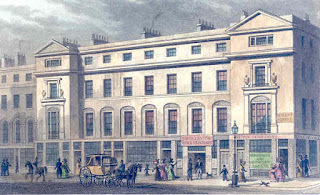 Alas for Mrs. Bentley, it was seemingly unavoidable at times. 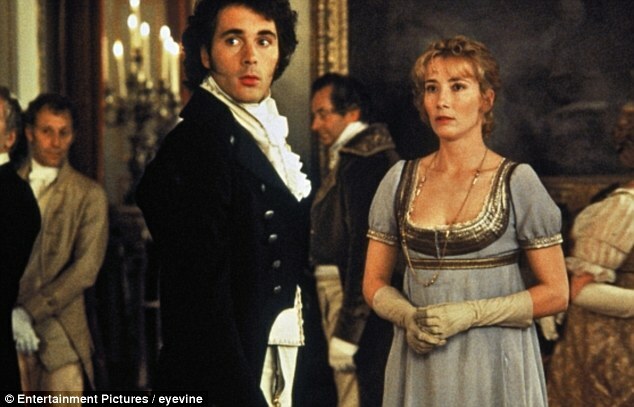 Interestingly, a regency era rout is seen in the BBC production of "Sense and Sensibility" with Emma Thompson. The scene where Marianne (Kate Winslet) spots her mysteriously absent sometime suitor and cries out (quite unfashionably) "Willoughby!" Some people are shown with a glass in their hand, and there are, I believe, servants making the rounds with trays. A generous host, no doubt, but this was apparently not often the case. 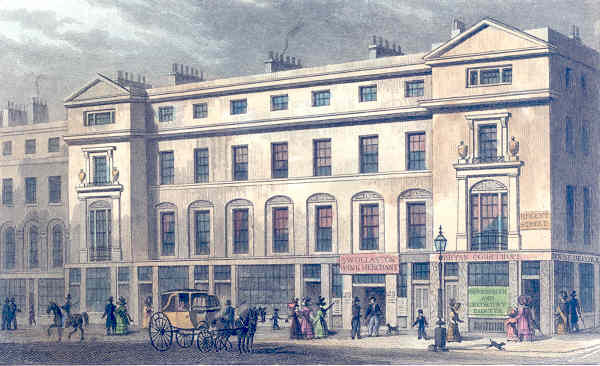 I hope you've enjoyed this small peek into regency life. 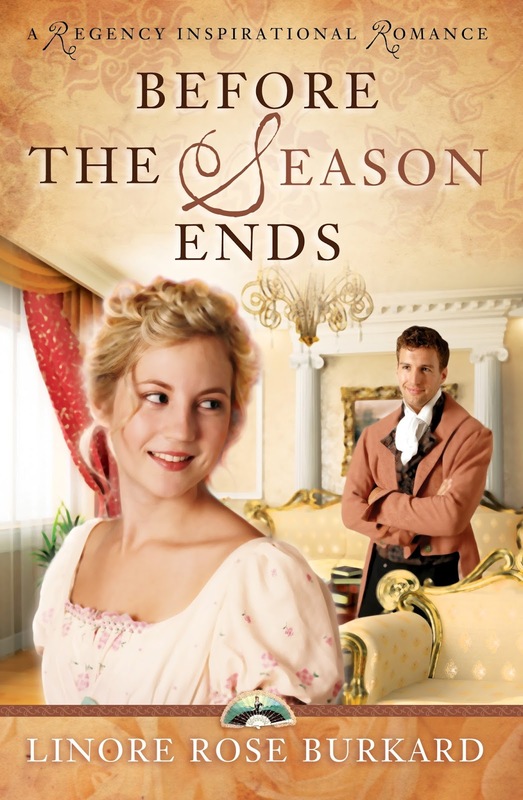 For a better idea, try reading an inspirational regency romance, such as Before the Season Ends, in which Miss Ariana Forsythe must navigate the treacherous waters of London high society--at the height of the Regency--by her wealthy Aunt who tries to marry her off for money. I have readers who report having read this book TEN times--because of its fun factor and warm-hearted ending. Linore Rose Burkard writes historical romance and, as L.R. Burkard, YA/Apocalyptic Suspense. NEW! 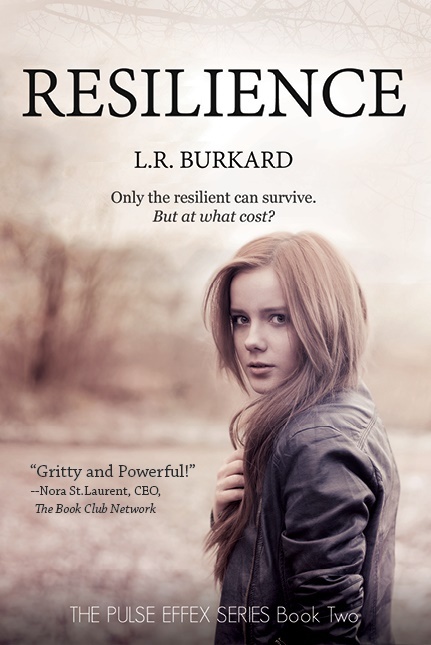 In this hot-off-the-press action-packed sequel to PULSE, RESILIENCE takes readers on a heart-stopping journey into a landscape where teens shoulder rifles instead of school books, and where survival might mean becoming your own worst enemy. Wow, that would drive me crazy....and I'd rather stay at home than venture out in the craziness. Thanks for sharing, Linore. Hugs!